Are You Using The Most Effective Water For Your Home? On average, American families use more than 300 gallons of water in their home per day. While our ancestors would be amazed at the black magic of clean water flowing freely indoors, we have come to expect clean water, and more! The more we evolve, the more we see the possibilities. Now we know that there is more to water than “clean” or “raw”. Are you using the right water for each of its many jobs in your home? Whether you’re taking a quick shower after the gym, soaking in a bubble bath after a long day, or scrubbing a day of mud and play from your little ones, soft water is the best for rinsing away a hard day. Hard water contains minerals like calcium, magnesium, and lime scale which bind with body oils, soaps, and washes to leave a residue on your tub, and your body. Tight, sticky, or itchy skin could all be the result of hard water. Many people spend years under the false belief that they are allergic or sensitive to soaps, perfumes, and dyes, when the skin reactions they’re experiencing are actually due to hard water binding these components to their skin. A water softener can remove these minerals, allowing soap to rinse clean away and leaving you with smooth skin and a spotless shower. If your hair has been looking heavy, dry, dull, or frizzy, you may have hard water to blame. The minerals in hard water keep detergents and conditioners locked into your locks, leaving them lifeless. The soap scum you struggle to scrub off of your shower door is even harder to clarify from your hair. Expensive salon treatments are designed just to remove the effects of hard water on your hair. An easier, more affordable, and more sustainable practice is to wash your hair in soft water, which will keep it healthier, stronger, and cleaner. A buildup of minerals and detergents can negatively impact the ph levels of your scalp and hair, and soap scum build up might have you convinced you have dandruff. Those flakes on your shoulder may be soap scum sloughing off of your scalp! Dandruff itself is caused by a dry scalp, which can also be remedied by the use of soft water. Not only will your scalp feel cleaner, you’ll be able to use less shampoo to achieve the desired result, which will also keep your scalp healthy and hydrated! While you’ll be able to cut your shower time in half, you won’t have to if you don’t want to. That’s because soft water can actually slash your energy costs. Softened water heats more efficiently, in fact, up to 29% more efficiently, than hard water. Whether you have a humble goldfish habitat or a flair for the exotic aquatic, maintaining your fishy friends requires weekly water testing, treatment, and maintenance. The health of your tank and its inhabitants depends on the ph balance of your water. Both freshwater and saltwater habitats require a balanced ph, which means monitoring the alkaline and base levels. If you’ve ever kept a pet fish (for longer than a few weeks) you know that tap water never goes directly into the tank. Chlorine, chloramine, and over-mineralization create a dangerous environment for any aquatic addition to your family, and filtration is absolutely necessary to keep these pets safe and healthy. A Reverse Osmosis filtration system can keep your pet happier and healthier, while keeping your tank cleaner for longer. Adding in the needed minerals is easier and safer than adding chemicals to neutralize unnecessary or an overabundance of minerals already present, and balancing the water becomes much easier. Dry air can wreak havoc on your home, hair, and health. A humidifier can improve the appearance of your skin, boost your immune system and reduce allergens, and keep houseplants robust for longer. Small, portable units are low-cost, and whole-home central humidifiers are available to condition the quality of the air in your entire house. Central humidifiers require their own water source, which attaches to the furnace duct of a forced air heating system. This maintains water levels in the humidifier’s reservoir. Hard water is detrimental to the performance of the heating element inside home humidifiers. Minerals and dissolved solids mist throughout your home, leaving a residue of white dust on surfaces. Additionally, hard water is a breeding ground for bacteria, which quickly becomes hazardous to breathe. Eye, skin, and lung irritation are more than a nuisance, they can be downright dangerous. Distilled or softened water are your safest choices for use with a home humidifier. De-mineralized water will keep the unit working longer, with much less cost and maintenance. From top chefs to mac and cheese moguls, the ingredient found in every recipe in one form or another is water. Whether you’re boiling an egg or rinsing fresh veggies, chlorine and other minerals can affect the flavor of everything it touches, even the dishes you serve them on! Your morning Joe could be waking you up with more than a jolt of caffeine. Metalic, sulfuric, and bitter flavors may be the result of the water from your well or municipal supply. Hard water can even affect how you cook your food. Mineralization increases the boiling point of your water, which can drastically affect the cooking times and methods for pasta, beans, and rice. The difference between a favorite family recipe and a slimy mess could be hard water. Baking is an exact science, and things like elevation and humidity are factored into the recipe and cooking time, but did you know that hard water is also a factor? If you can’t seem to achieve “light and fluffy”, it could be your water. Dissolved minerals affect the structure of gluten, and can change the function of yeast and baking soda. This can end in tough toast and gummy pasta. Home brewers of both coffee and beer know that the process begins with the right water. Alkalinity, clarity, and minerals like sodium, chloride, magnesium, calcium, and sulfates can all impact the flavor of your water. True connoisseurs know to achieve balanced water before they begin the brew. No matter what you’re cooking up, water quality is the most important ingredient. Home and professional chefs, brewers, bakers, and dinner makers agree that crisp, clean water from a Reverse Osmosis filtration system tastes like success! Learn more about the benefits of R.O. water here. There is nothing like a drive on a gorgeous day in your shiny, well-maintained car. A quality car wash can cost you between 12 and 22 dollars, and a lot of people simply prefer to wash their vehicle by hand to avoid spots and scratches. Depending on your preferred method, (suds and bucket or a simple hose down) you could be using between 40 and 140 gallons of water every time you clean your vehicle. 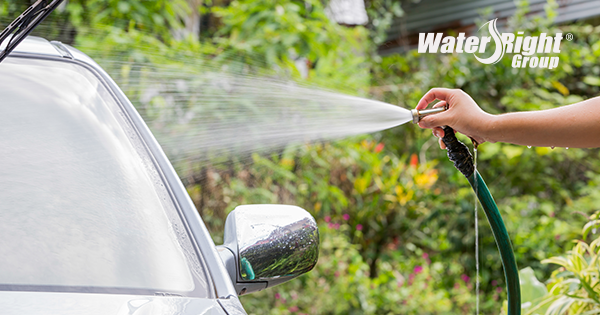 Hard water leaves spots and residue on your vehicle, which streak when you try to wipe them away. Dissolved solids in water can cause etching on your finish, while minerals prevent detergents both from doing their job and from washing clean away. Professional detailing services know that hard water leads to dissatisfied clients, and many prefer to use soft water and a R.O. filtration combination to wash away any chance at leaving spots on your vehicle. Our fur babies can’t tell us when they aren’t feeling well, and we have to work extra hard to advocate for their health. 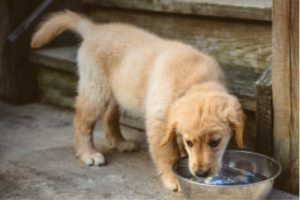 A recent study found a direct link between frequent urinary tract infections in pets with very hard water. You can read the study here. If hard water is giving your furry friend a hard time, a softener may be a gentle way to offer him a healthier life. Adding an R.O. system will make your water delicious, which entices everyone in your family to drink more water. You can learn more about Reverse Osmosis here. Water is essential to all aspects of your life, and getting the most out of your H2O is easy! Whether you’re in the market for a water softener, Reverse Osmosis, or filtration media, every part of your life will be affected by cleaner, gentler waer. All Water-Right® dealers are equipped to help you with your water treatment needs. Click the links above to visit the websites of our trusted brands. You can use the ‘Find a Dealer’ tool to locate a professional near you and have an expert come to your home to evaluate your situation.